Some of the most charged crimes in Colorado are assault and violent crimes and Colorado, with it’s mandatory sentencing laws for crimes of violence, – imposes some of the most punitive sentences for violent crimes in the entire nation. Many innocent people are unjustly and unfairly convicted of Colorado violent crimes. These convictions are the result of cases of mistaken identification, untruthful witnesses, manufactured or otherwise fabricated evidence, poor police work, overt racism, political and overzealous prosecutors and the failure to properly and aggressively use defenses such as self-defense. If you are charged with a Colorado violent crime, you will need a Colorado criminal defense attorney who has a proven tract record of defending these cases in the criminal courts of Colorado. As a Former Senior Deputy District Attorney – Trial attorney for Arapahoe and Douglas Counties (13 years) followed by the last 17 years (as of 2016) as a Colorado Criminal Defense Lawyer exclusively focused on and specializing in Colorado criminal defense, H. Michael has a lifelong history of handling thousands of cases where individuals are charged with violent crimes such as assault. Because he has stood on both sides of the courtroom for decades, he has handled almost every conceivable Colorado criminal case. Many times, the police will rush to attempt to solve serious crimes such as violent offenses. In their rush to “close the case” the police will do an incomplete investigation. The results are predictable, they are cases that are not only “over charged” by the prosecutor they can result in an innocent person faced with a mandatory prison sentence pleading to and being convicted of a violent crime they did not commit. What happens is poorly trained and overworked police take statements from “eye” witnesses who are mistaken or worse, lying. This leads to courtroom testimony that results in misidentification. Placing the goal to “clear a case” with an arrest over a thorough and fair investigation results in the loss of evidence – such as witness statements, which may have led to either a rejection of the filing of the felony case by the DA or at least the filing of less severe charges. H. Michael Steinberg is a trusted and experienced criminal defense attorney who has spent decades on both sides of the courtroom. As a former prosecutor who uses former police detectives to conduct his investigations where possible, he has unique insight into how criminal cases are put together by law enforcement, knowledge of how the police actually build assault and murder cases, and has the capacity because of that experience to focus on the issues and weaknesses in the evidence that can be used to exonerate his clients. Some common Colorado defenses to violent crimes include self-defense, defense of others, defense of property, consent, duress, choice of evils and misidentification. You have the rights accorded by the Constitution that surround all aspects of a fair trial notwithstanding the charges against you. If police or investigators have violated your rights in some way in the investigation leading up to or during your arrest, it may be possible to have your charges dropped or reduced. Any evidence of your guilt which was illegally obtained by law enforcement may not be used against you in court. 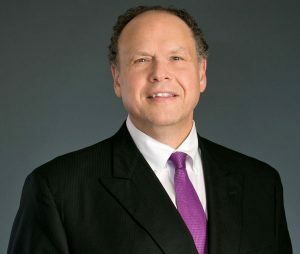 If you, a family member or a friend has been contacted by the police, arrested, or charged with a violent Colorado violent felony or misdemeanor please contact H. Michael Steinberg – The Responsible Choice For A Colorado Criminal Defense Lawyer – experienced and aggressive representation. 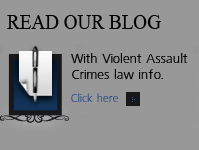 Mr. Steinberg understands the serious nature of Colorado violent crime offenses. Over a lifetime he has learned through the “crucible” of the courtroom – litigating in ALL of the courtrooms in the State of Colorado, how best to defend you, and how to resolve your case without a sentence to jail. After more than 30 years either in the capacity as a Former State of Colorado Senior Deputy District Attorney or, having founded his own law firm in 1999, a very experienced Colorado Criminal Defense Lawyer, he has extensive knowledge of Colorado criminal law and the Colorado legal system and, more importantly, he has forged and developed the kind of excellent relationships with prosecutors, judges, law enforcement and other courtroom officials throughout Denver and the Front Range of Colorado that now benefit the clients that retain him.